In the first episode of “Mind Power,” a personal development podcast by husband and wife team Rachel and Shane Krider, the duo talks about the law of attraction, which is the belief that focusing on positive thoughts can bring positive or experiences to oneself, and vice versa. In this blog, Shane Krider provides a few real-world examples of how a person’s vibration can affect the way they see the world. 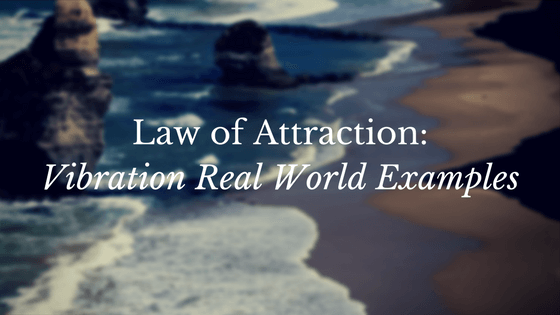 This blog is a continuation of Shane’s previous blog, Law of Attraction: It’s All About Your Vibration. When you’re on a different vibration, it changes the way you see things. Imagine two people are in the same exact situation. I was at the beach with some friends and family. One particular family had a dog that was running around playing catch with a little puppy. One guy starts freaking out, yelling at the people who owned the bigger dog that they better get the dog on the leash or he’s going to do something to the little dog. And all of a sudden, I felt like I was in the Twilight Zone. I’m like, “What’s wrong? He’s not the kind of dog that could attack. If you’re looking at the same dog I’m looking at, that dog is just trying to chase the ball — it’s not an aggressive dog. But when you’re angry, your perception changes and you see things in a way that’s going to make you angry. But when you’re happy, you will see things in a way that will make you happy. It could be as simple as smiling at a stranger walking down the street. They’re not walking down with a frown on their face. They’re walking around just putting themselves out there with their positive energy. Or how about when you pull out in traffic, and maybe you came out a little further than you should have. But instead of the car behind you honking their horn, they just politely slow down and wave you to go. The law of attraction stems from vibration. It says if you change your vibration, you’re going to change what you attract. In my experience, it’s true. We use the word attract instead of create because it is an attraction, just like human beings are attracted to things that they find aesthetically pleasing.